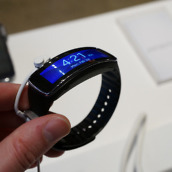 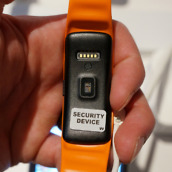 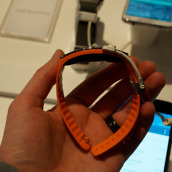 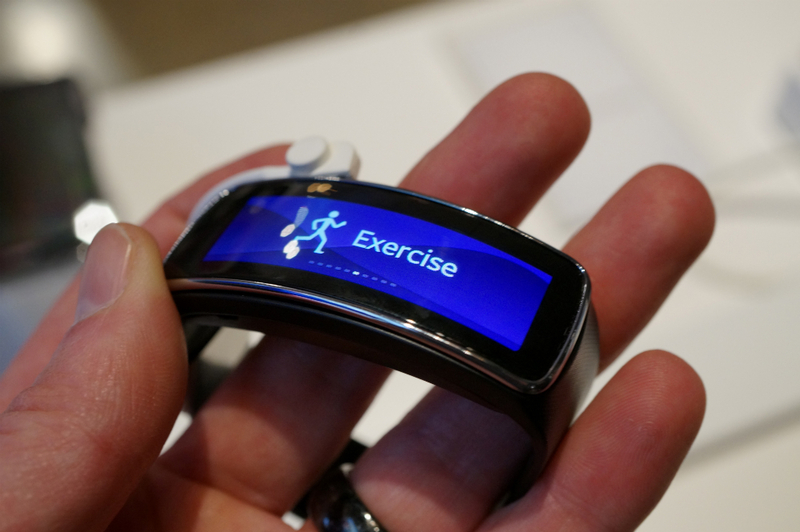 Outside of the Galaxy S5, our Samsung event was filled with people buzzing about the Gear Fit, Samsung’s new fitness tracker that has a curved AMOLED display. 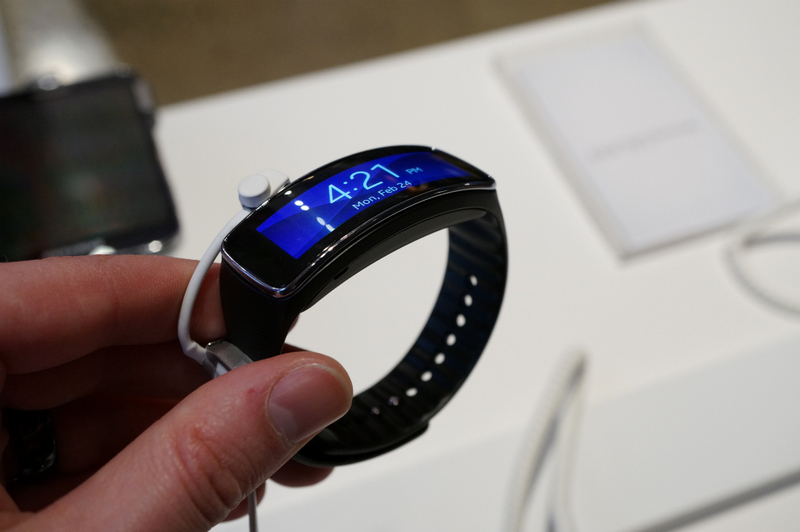 I’m still trying to wrap my brain around its design, but if anything, it has my attention. 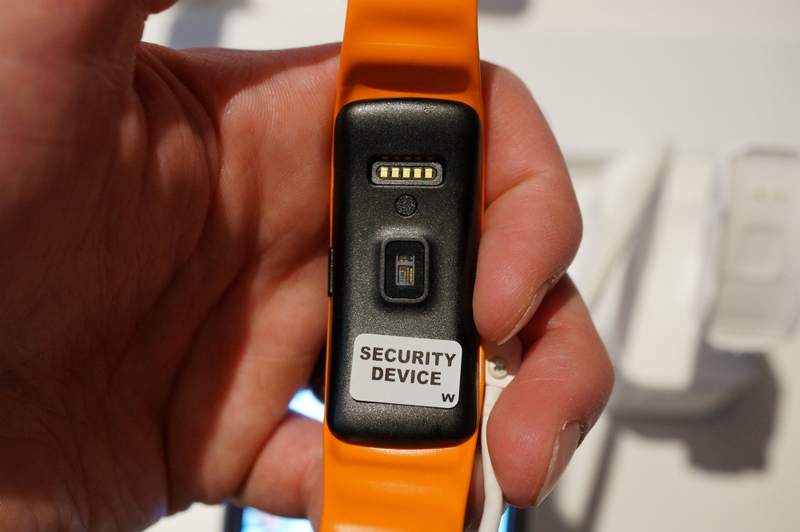 The Gear Fit can check your heart rate, allow you to answer or ignore calls, shows notifications as they come in, tracks steps taken and other fitness goals, is IP67 dust and water resistant, can control media, and even has changeable wallpapers. 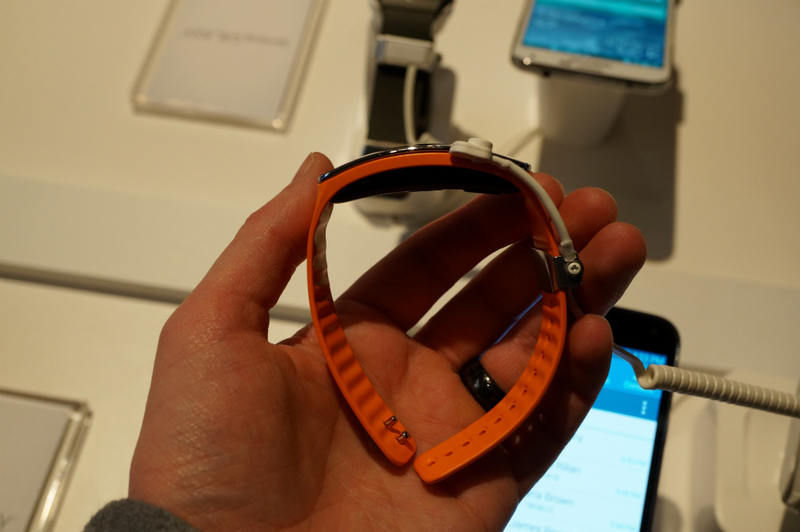 For a fitness band, it really is feature packed. 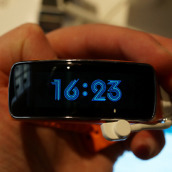 The battery life seems questionable at 3-4 days, but that’s at least better than the original Galaxy Gear could say. 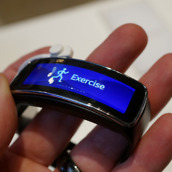 Below, you’ll see Samsung take us on a quick tour of the device.